Bored of all the drugs, alcohol and commotion at ordinary music festivals, but still crave to enjoy the experience and connection of a tribe of like minded people? Then Yoga Festivals are for you! Nothing creates natural euphoria quite like a yoga festival. From experiencing the delights of a group of like minded people, dedicated to self progression and a healthy lifestyle. To exploring the benefits and bliss found in asana practice, vinyasa flows and yogic philosophy. 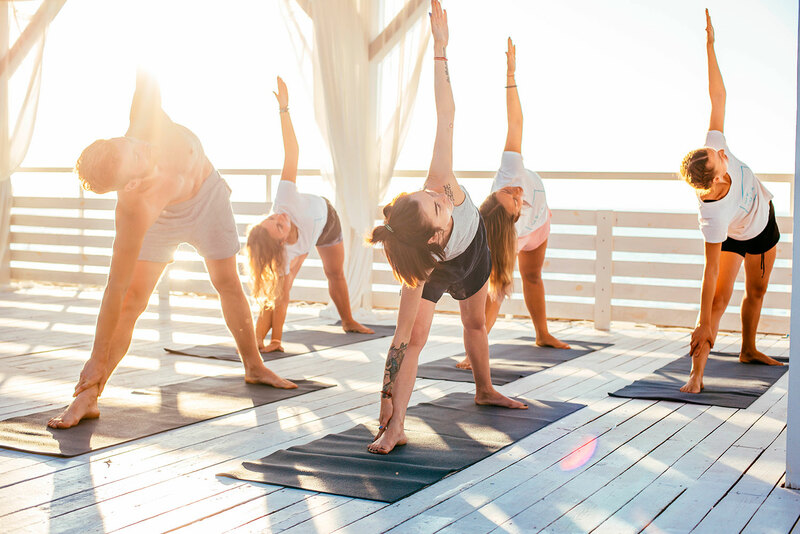 Yoga retreats are a one of a kind place that help yogi’s and spiritual warriorto connect, play, learn and grow. 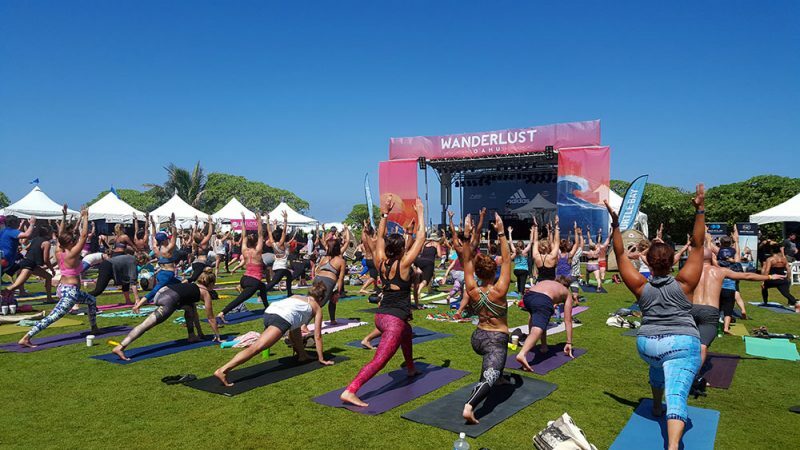 Whether you are an ashtanga warrior or a yin yoga goddess, whether you want to stay local orfly to some exotic part of the US, you can expect to find a slice of paradise in ourlist of 5 national yoga festivals. So you better be ready to jet off on your next spiritual adventure. “Wanderlust Festivals are all-out celebrations of mindful living. In the midst of some of the most breathtaking natural settings imaginable, be surrounded by a dynamic family of one-of-a-kind instructors, musicians, speakers, chefs and fellow celebrants. Step into what’s beyond: new ideas, new friends, new foods, new moves. And at the end of all this blissed-out exploring you’ll find you’ve come home—to yourself.” Notorious as a tribe favourite, Wanderlust festival draws thousands of yogis and spiritual seekers yearround. Wanderlust festivals offer not only yoga, but music, live talks, fresh food and a breathtaking locations. It’s a must try for all yogis that love festival spirit, spiritual vibes and mindful living. The team at Wanderlust hold multiple three day festivals, single day events and wellness gatherings all overthe US. You can check out theirlatest info for events on their website. “The Sedona Yoga Festival gives yogis and spiritual seekers from all overthe world the opportunity to turn OFF the static of daily life, and turn UP their personal power. Situated on the majestic lands of Sedona, AZ, the Sedona Yoga Festival offers three days of yoga, meditation, music and energy work. With more than 200 total classes, events, workshops and performances, plus presenters from both around the corner and around the globe. Sedona Yoga Festival has all the elements of a traditional yoga conference; world-class presenters, exclusive workshops and top-billing artists. 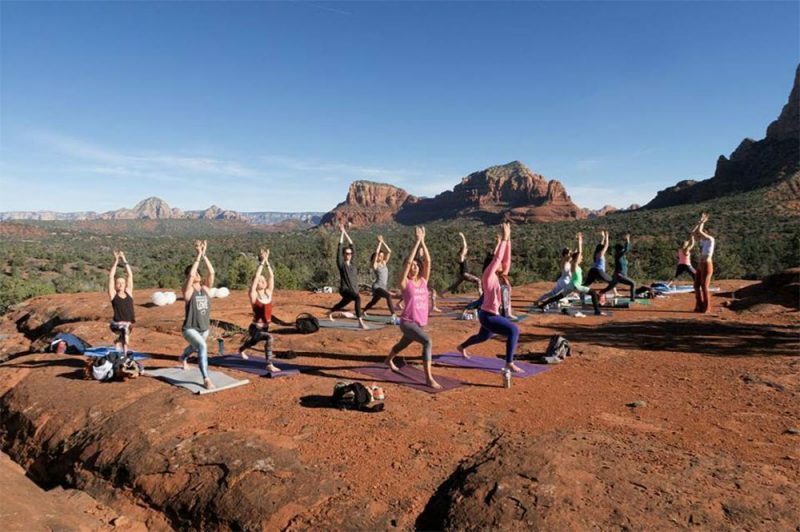 But at its heart, this event will always be a festival – a celebration of life at the deepest level.” Situated amidst the beautifulrocky canyons of Sedona, this yoga festival features one of the most breathtaking and profound locations on this list. A desert town with a long history of charming spiritual seekers from all walks of life. It is renowned as a place of natural beauty, diversity and heritage. It’s the perfect destination for yogi’s that love flowing in nature. The festivals offer all things mindful; yoga, meditation, music, energetic healing, and workshops. Ontop of all of that, there will be live talks, international presenters and artists showcasing their skills, knowledge and talents. “The Shakti Yoga Festival celebrates the devotional paths of yoga, Kirtan (sacred music), and meditation and places a special emphasis on the Divine Feminine. Ourfestival is a drug and alcohol-free vehicle for evolution of human consciousness through a heart-centered revolution. Bring your yoga mats this coming May to the idyllic Joshua Tree Retreat Center, located in the beautifulregion 2 hours east of Los Angeles. 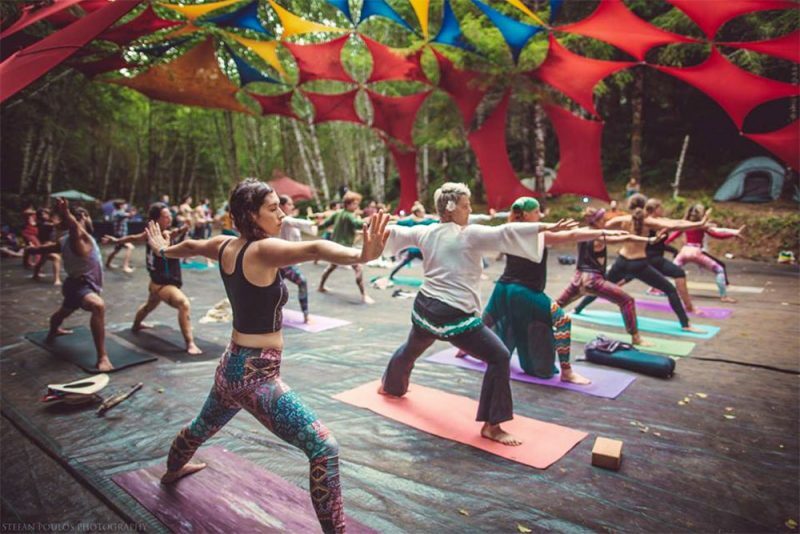 One of the more well established yoga festivals in America, the Shakti festival holds its roots in both traditional and non-traditional spiritual practices. Every event promotes individuals to be heart centered so that they may experience the healing, expression and connection that comes from being immersed in a tribe of like-minded individuals. It has a strong focus on not only yoga but sacred music, dance and fire twirling too. So if you’re looking for a invigorating festival with lots of variety, connection and heart – then The Shakti fest is for you. You can join their mailing list forthe latest news and updates on the next Shakti event. The Hanuman festival is based in the health-conscious country side of Boulder, Colorado. The festival holds a primary focus on yoga, so you can expect to delve into the depths of vinyasa, breath work and flow. All while being immersed in melodic traditional healing music performed live during the classes. 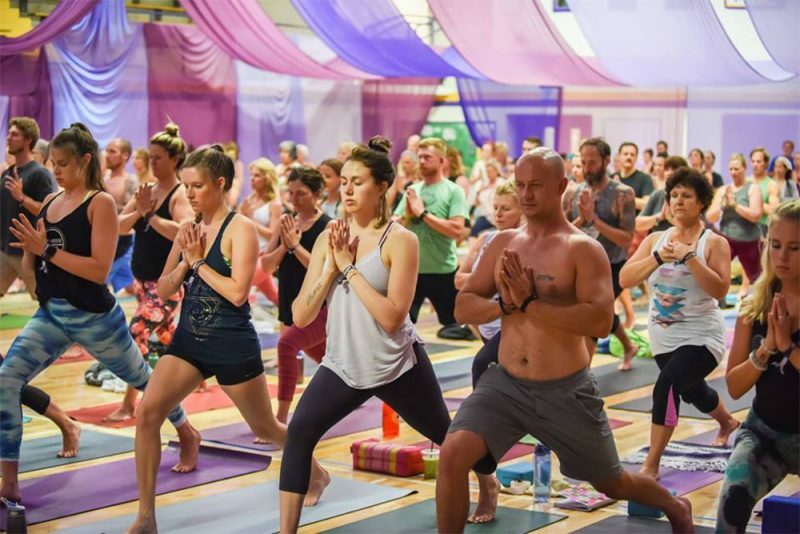 This festival is ideal for yogi’s looking to deepen their practice, connect with like-minded folks and broaden their understanding of conscious lifestyle choice. The main festival is held from June 14th to 17th, 2018. 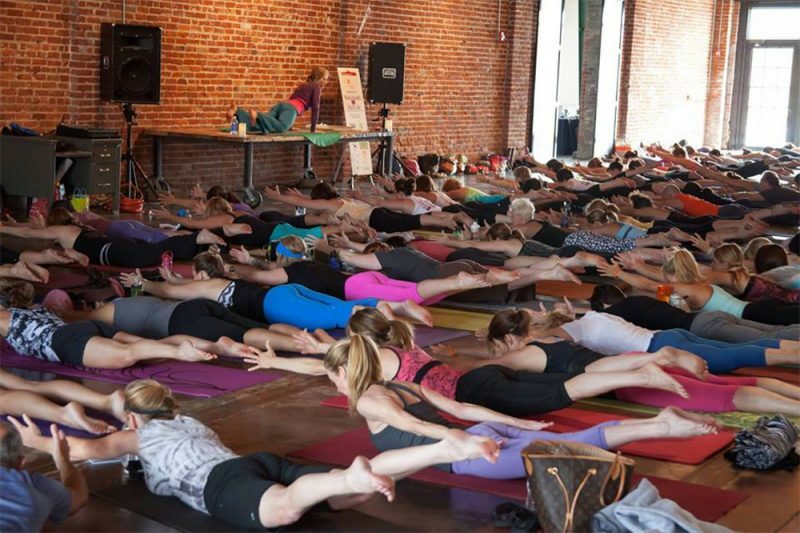 “The Heartland Yoga Festival forthe big-hearted, friendly yoga family of Kansas City and the midwest. Join us June 22-24, 2018 at UNITY VILLAGE forthe premier yoga festival and celebration in the midwest! An idea brought to life by three Kansas City yogis, the Heartland Yoga Festival will feature amazing area yoga teachers, tons of local Kansas City shops, beverages, and delicious bites, plus provide a beautiful space for you to dive deeperinto your practice, connect with nature, and get to know the KC yoga community better. 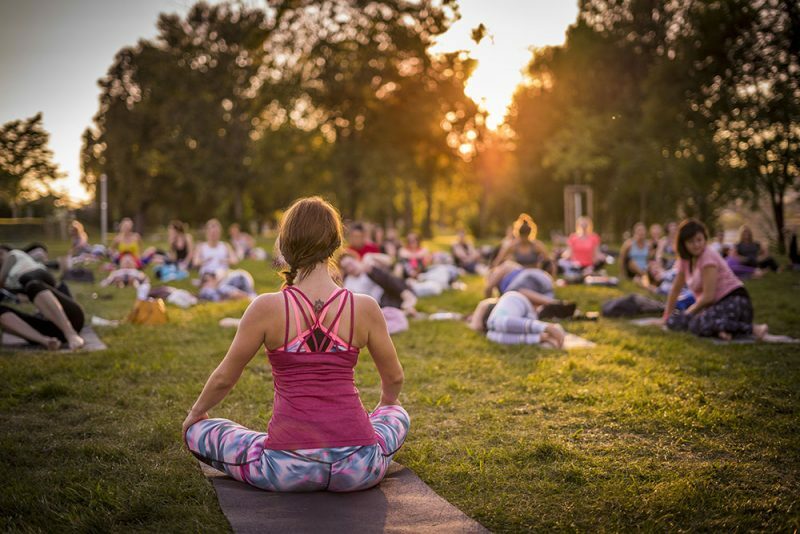 Over 50 yoga, wellness, and mindfulness workshops, localrock starteachers, amazing KC vendors, marketplace, sunshine, and heart-filled community!” The Heartland Yoga festival offers an abundance of local culture, shops and community in the heart of Kansas city. It’s the perfect place forlocal yogi’s to meet, connect and network. With amazing teachers, locations and markets, what’s not too love? The next festival is on June 22 – 24, 2018. A beautiful, spiritually minded event featuring international musicians, speakers and teachers. It offers a wonderful combo of experiences, knowledge and practices to help turbo charge yourroad to self awareness, self practice and contentedness. With a wide range of workshops, classes and stages – you will be sure to find bliss, friends and new experiences at this festival. While Sat Nam Fest offers a variety of events, the main festival is at Joshua Tree on April 10th – 14th 2019. Check out their schedule and other upcoming events on their website. “Beloved is a 4-day sacred art, music, and movement festival on the Oregon Coast. Beloved is a healing event. Beloved is a model for a culture that understands the depth of our connection with each other, to the planet, and to our souls. Beloved is all of the names and forms of the Divine, affirming their Unity. This delightful festival brings the best of everything together- sacred music, interactive art, yoga, eco-ethics, workshops, cultural classes and a deep reverence for earth. Beloved Festival is primarily centered around international musicians and artists, but offers multiple classes in between. So if you love alternative, mindful lifestyles and wholesome living – this festival is ideal for you. The next event will be in Tidewaterfrom 10th – 13th of August, 2018. Yoga is an art form that blossoms with practice, wisdom and understanding. Whether you’re a spiritual gangster or practicing student, yoga festivals offer something for everyone and every level. No matter how flexible, strong or spiritually advanced you are, there is always progress and knowledge to be gained. These events offer an abundance of inspiration; from the international speakers and teachers, to the hundreds of dedicated yogi’s hoping to strengthen their practice just like yourself. So whether you are looking for new mindful friends, yogic practices or heart warming experiences – yoga festivals are the place for you. We wish you luck on your spiritual adventure, and hope you find the experiences you seek. 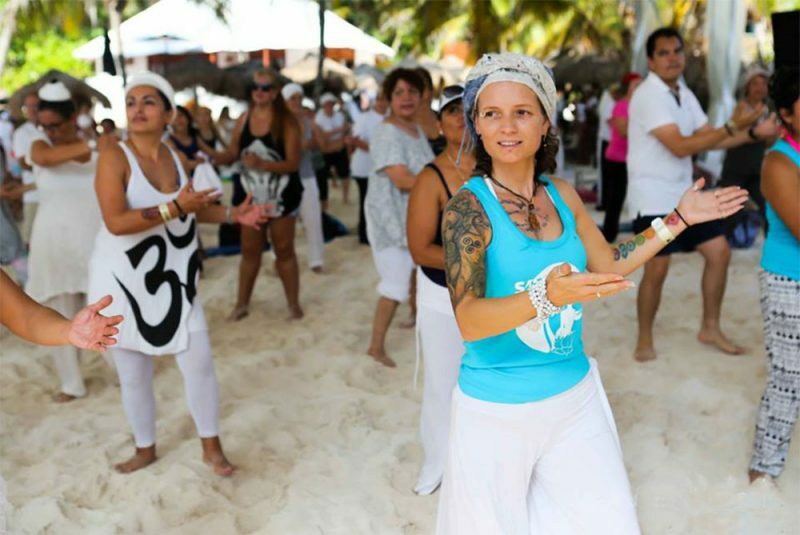 If you’re craving world-wide adventures in tropical, picturesque locations, be sure to check out our 7 must-try international yoga festivals article.